I remember the sense of awe as I fired up Soul Blade for the first time: the hype-inducing FMV intro, the visceral intensity of swords clashing, the game’s ambitious speed and energy outpacing peers such as Tekken and Toshinden. While the franchise mostly fell away from me as it grew into the Soul Calibur series — the Dreamcast was very unpopular in my British homeland, and I’ve happily stuck with Sony over Microsoft every generation — the most recent entries have felt somewhat lackluster, with Soul Calibur V feeling decidely uninspired and stale. Thankfully, Soul Calibur VI returns to its roots, embracing the original ideologies in a semi-reboot which manages to bring the Calibur series back to its glory days. 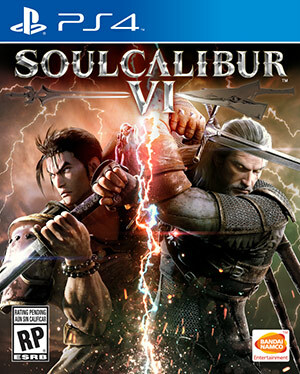 Moving back in time in both historical context and design philosophy, Soul Calibur VI returns to the era of the first Calibur title, following a new timeline in a reboot designed to get the series back on track as one of the best fighting series available. The timeline shift allows Namco to bring back some fan favorites of the series who had been retired in previous games, such as original Greek warrior Sophitia and the ever popular ninja Taki, while characters who are either too young or haven’t gone through important lore events aren’t present, such as Hilde and Viola. This cuts some of the chaff brought in from recent entries to the series, including funny but overly niche Dampierre and the horribly redundant Patroklos/Pyrrha combination. New to the roster are enhanced dual-sword wielder Grøh who can switch between fighting in a staff style or splitting the swords apart to dual wield in a style reminiscent of Darth Maul, as well as antagonist Azwel who essentially replaces Algol as a superhuman character able to summon various weapons at will. Both characters feel strong, with Grøh acting as a great “first play” character able to help new players ease into the game while Azwel offers a high number of technical complexity with his multiple stances and weapon combinations. The Calibur series is known for bringing unexpected guest stars with previous visitors including Ezio Auditore (Assassin’s Creed) and Kratos (God of War), becoming infamous for including Darth Vader and Yoda in SC4. Soul Calibur VI is no exception, this time drawing Geralt of Rivia from the Witcher series into the action, whose fans will be happy to know that the White Wolf feels authentic and lovingly implemented; every hack and slash feels natural to his fighting style including having each of his swords be useful in different situations, and he can spend portions of his power meter on casting trademark signs like Igni or Yrden at his foes. 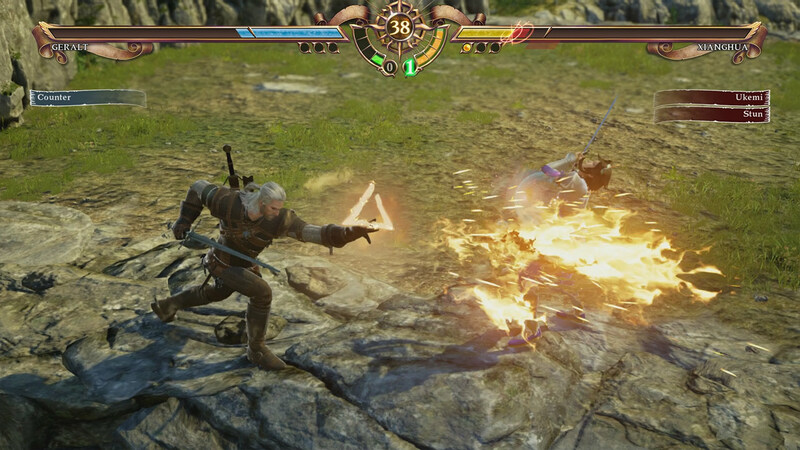 Beyond witcher signs, the power meter is used by all characters to execute their most powerful attacks. 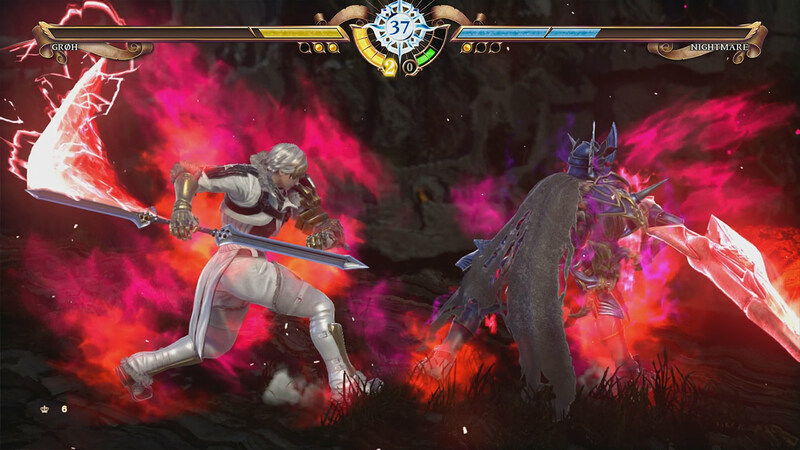 Critical Edges — the super moves of Soul Calibur — return to VI, being a devastating combo of moves which drains more health the weaker your enemy currently is, while new to the series are Reversal Edges, which operate as an improved guard able to block most attacks, triggering an Injustice-esque clash with each attack button able to beat a button pressed by the opponent in a rock-paper-scissors style format. While on the surface reversal edges may sound like a guessing game with hitting a random button and hoping for a good outcome, it’s actually fairly nuanced as each character responds to the various inputs in predictable, learnable ways. 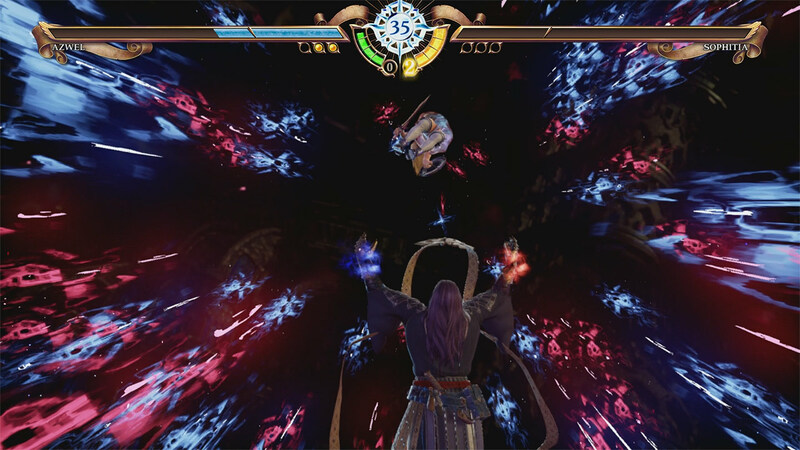 For instance, if you’re facing ring-out monster Astaroth, you can reasonably expect him to go for a B attack during a reversal edge, as that attack ends with a colossal throw that’s more than capable of ringing out your character from a long distance and immediately winning the round, so hitting A will generally win. Learning each character’s various attacks and combos out of reversal edge clashes becomes one of the most important parts of competitive play. Soul Charges are another new mechanic; instead of gambling a meter charge on one big hit with a critical edge, soul charge powers up your character for a short time, increasing damage done as well as unlocking additional moves for certain characters. Guard Impacts, which cost a portion of meter in earlier installments, are now free of cost as part of making the game more accessible to newcomers, as are lethal hits — a powerful strike that shatters an opponent’s armor, increasing the damage they receive for the remainder of the match. For single player modes, the big draws are two different but intersecting story modes. Soul Chronicle acts as the standard story mode but departs from the usual “pick a character and win the story from their perspective” deal that drives fighting games. Instead, there’s one established canon storyline featuring Kilik, and as you progress through you’ll unlock the timelines for each other character so that you’re able to experience what each was doing and when. It’s an interesting format that feels cohesive and well thought-out, with characters overlapping in their various quests. Libra of Souls, meanwhile, is a more fleshed-out mode akin to past Edge Master modes — you’ll start by creating a character who’ll proceed to journey the world participating in quests, helping locals, and bumping into the main cast at regular intervals. While lacking the voice acting of the Soul Chronicle mode and thus relying on large amounts of text and static screens, the storyline continues at a decent pace. 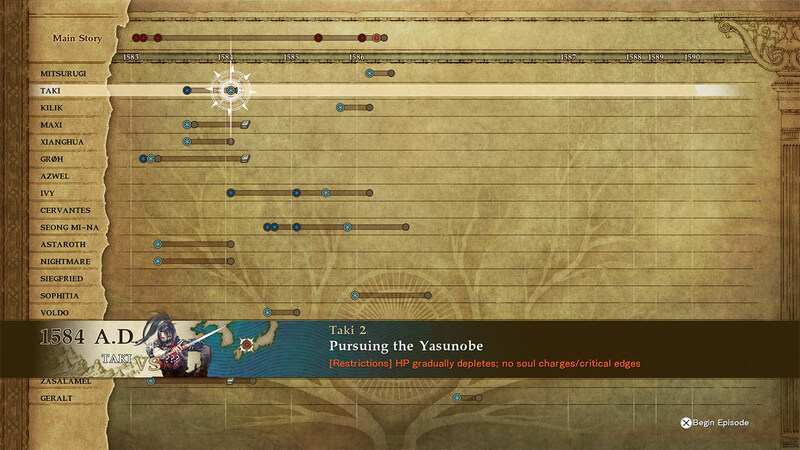 Interestingly, as you meet the main characters along your journey, details from those encounters are added to the Soul Chronicle timeline, further fleshing out what each individual was up to at any given moment. Online play wasn’t available much — we’ve been playing the game pre-release after all, so only other reviewers and those sneaking early copies home from retailers are online — but the matches I found were surprisingly smooth. 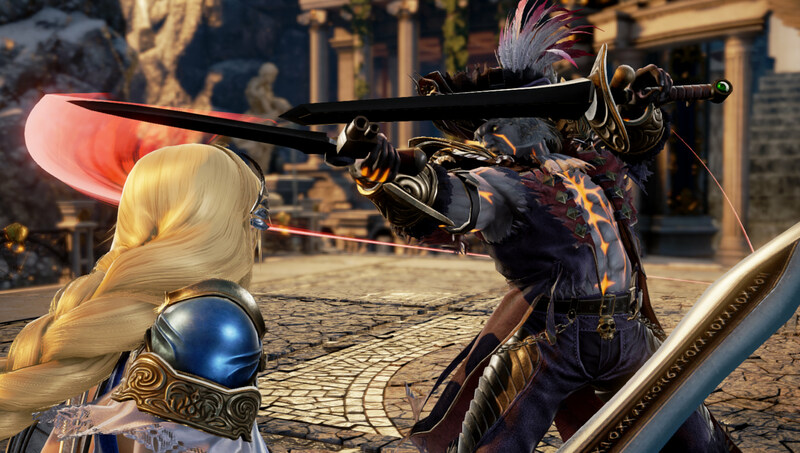 While Soul Calibur VI‘s online beta had occasional lag and stuttering, the netcode for final release seems to be vastly improved, and certainly feels more reliable than that of some of its predecessors. Vitally, combat never drops below the base 60fps, though loading times felt a little long at times. Character creation, a strong feature for the Calibur series, returns with the usual array of equippable items, color combinations and tons of patterns to overlay and customise, although the general selection available did feel a little flat, perhaps due to the time limitations imposed on the small team allocated to developing VI. Certain items are initially locked and need to be purchased using currency earned during Libra of Souls, which can also be spent on museum unlocks to browse articles such as FMV and concept art for each game in the twenty year history of Soul Calibur. 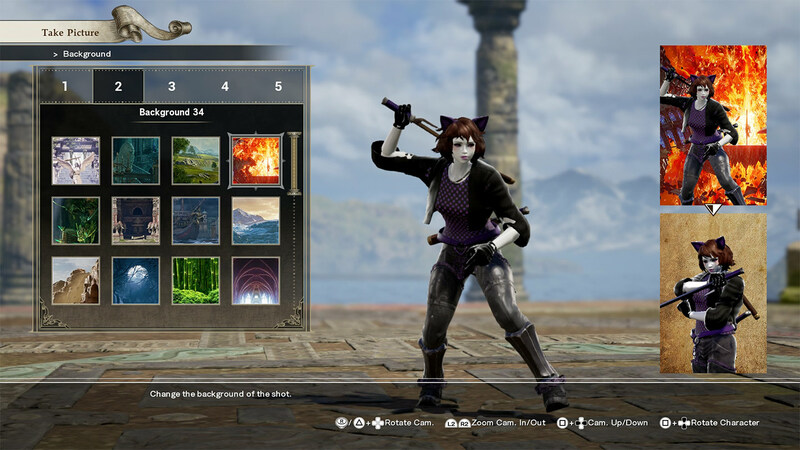 All in all, Soul Calibur VI feels like a familiar friend returning home after a long absence. Smooth gameplay, visceral clashes and easy to jump into whether you’re new to fighting games or a technical veteran, VI is the fresh start that Calibur fans have been waiting for.